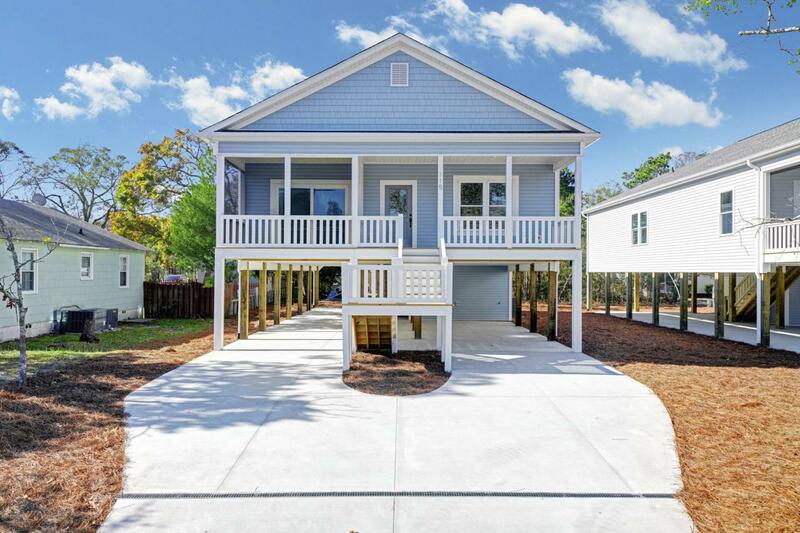 Affordable luxury coastal living is move in ready on one of my favorite streets on Oak Island, NE 7th Street. Arrive on the sands of the Atlantic Ocean less than a mile away by enjoying a stroll across the scenic walkway on SE 9th or take the main beach strand down Middleton Ave. Come back home and rinse off the saltwater in the outdoor shower before heading upstairs through the dry entry under the home or enter off the front screened in porch. 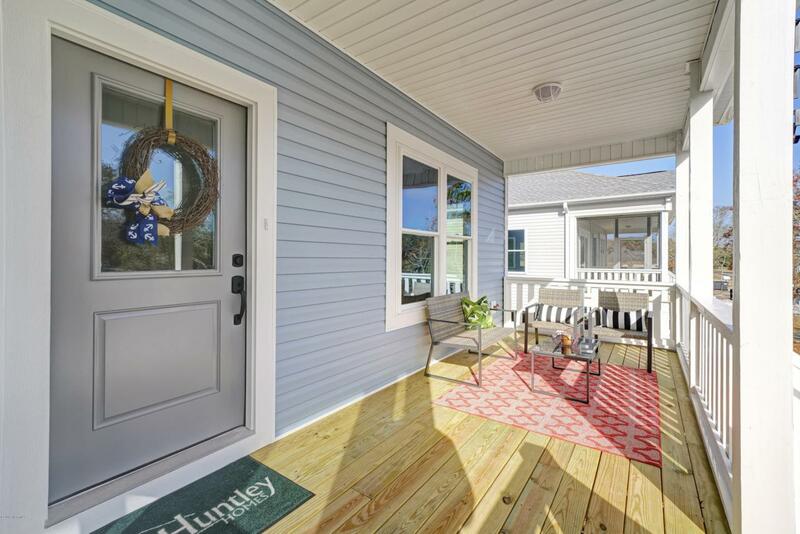 Inside beach friendly luxury vinyl tile flooring and lovely cove crown molding guide you throughout the close to 1700 square foot open floor plan.You'll fall in love with the extra space this beautiful new home provides. The 10' trey ceiling greets you in the spacious great room adorned with a shiplap accent wall open to the dining and kitchen space. Cooking in this gorgeous plus functional kitchen will be a dream with custom white shaker style cabinetry with decorative crown molding, white quartz counters, stainless steel appliances, large center island with counter height seating and pendant lighting above. Enjoy dinner with a soft summer breeze on the screened in front porch through the sliders located in the dining room. Down the hallway past the spacious laundry room with utility sink and large storage closet designed for an optional elevator, you'll arrive in the spacious master retreat. Large walk in closets offer plenty of space for both him and her with built in wood shelving. The luxurious spa like master bath provides a separate water closet, double sink vanity topped with marble and a walk in tiled shower complete with bench. Bedrooms two and three provide an escape for family and guests sharing the second full bath with shower and tub combination. This home also features double hung impact storm windows, and a low maintenance landscape. 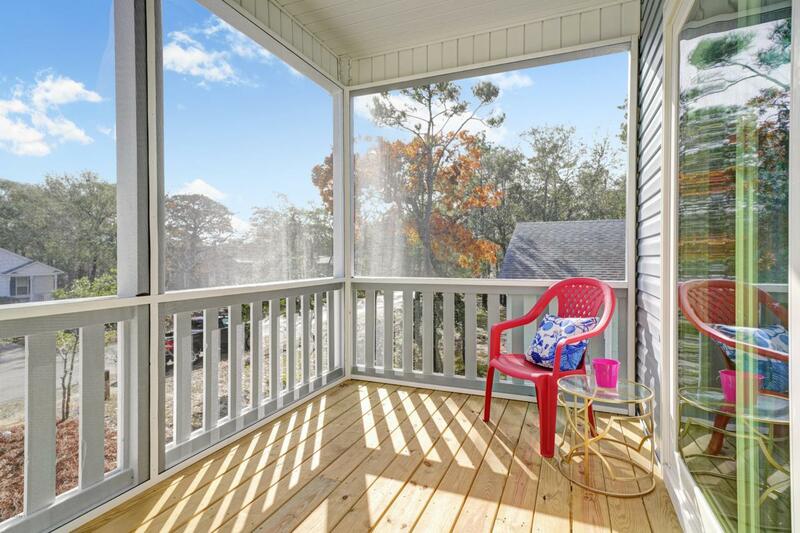 Even during the season you can get away from it all, yet remain in close proximity to everything you need to live and love the coastal lifestyle. Hop in your golf cart and you'll be at the ocean in 3 minutes off the main beach strand on Middleton Avenue or take the scenic walkway on SE 9th St straight to the beach. Take Middleton the other direction and the "New Bridge" leads to the Lowe's Foods center with shopping and dining just 5 miles away. 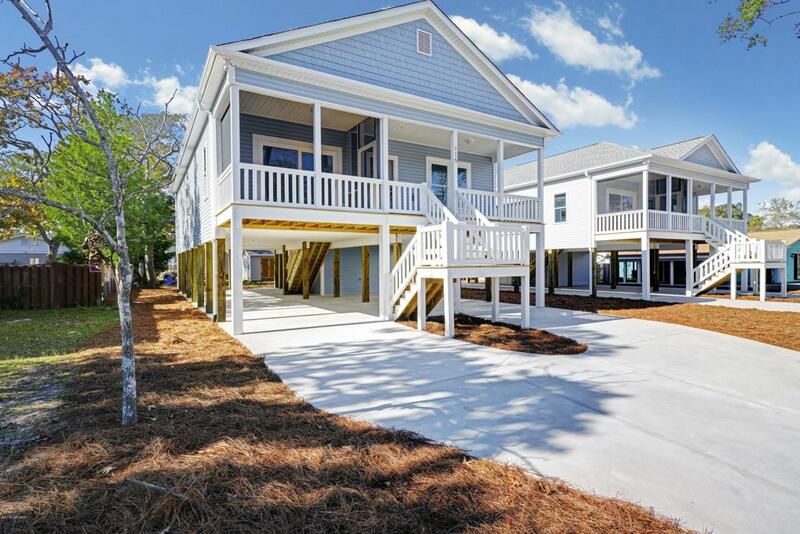 Or stay on the island and enjoy all the local flavors, boutiques and conveniences Oak Island offers beach side or off East Oak Island Drive. The home next door is also for sale at 117 NE 7th Street. The same lovely floor plan with different finishes. Which one do you like best? Listing provided courtesy of Jessica M Wainwright of Live Love Brunswick.